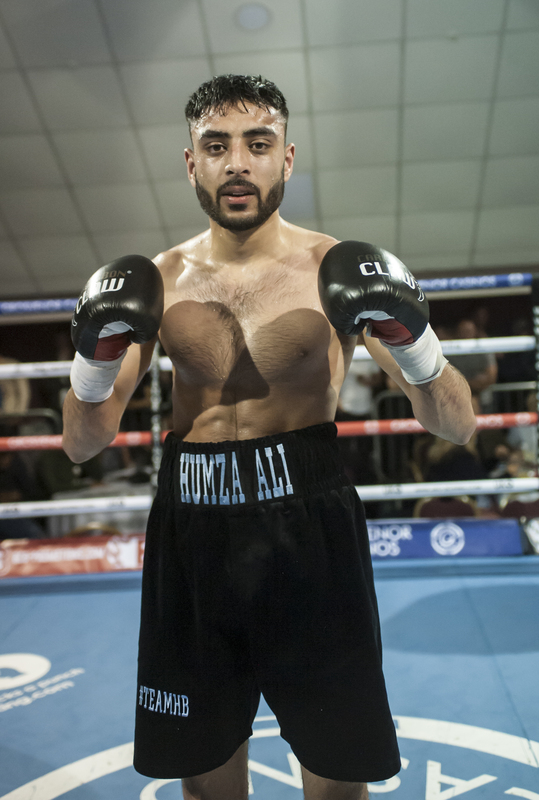 Humza Ali is delighted to be back fighting in front of his home crowd on BCB Promotions’ ‘The Class of 2018’ at Walsall Town Hall, Walsall, on Saturday, 3rd March, sponsored by Grosvenor Casino Walsall. The 22-year-old told bcb-promotions.com he is looking to impress in what he believes will be the most important fight of his life. “I love fighting in my home town in front of my crowd and my people and that is what we work so hard for. I want to entertain the people and I can’t wait to show everyone how I have improved. “Every fight plays a major key in where you want to go in your career. Whether it is for a title or just another stepping stone fight, every fight will be a step closer to getting you to where you want to be. “My debut was my most important bout of my life but this next one will be even more important. I have to fight every fight like it is a world title fight if I want to get to the levels that I have planned in this sport. “I have to stay focused and take every fight as it comes and just get the win. The featherweight hasn’t fought since last May but he has promised to put on a show in this one that will be worth waiting for. “I had a lot going on in my life after my debut so I had to take some time out and assess things,” he added. “But now I am confident as always going into this one. I work hard so it will just be time to show off everything I have been working on when I get in the ring. “Even when I was off I was still in the gym and training I just wasn’t competing. The Walsall pugilist wants to mix things up in his second contest and show people he has a smart boxing brain on his young shoulders. “I have been working on different styles. I showed everyone on my debut that I can come forward and walk someone down for four rounds. This time I want to show that I can pick my shots and box and show people that clever side to my game. Groves vs Eubank Jr is proof that techniques trumps physical gifts.